Schalke midfielder Weston McKennie hailed the atmosphere generated by the home fans as "something you can't get everywhere" after the Royal Blues saw off local rivals Borussia Dortmund to tighten their grip on second place. The USA international came off the bench in the second half to help his team seal a significant and highly satisfying Revierderby win on Sunday, as Schalke moved four points clear of third place and took another big step towards finishing in the UEFA Champions League places. 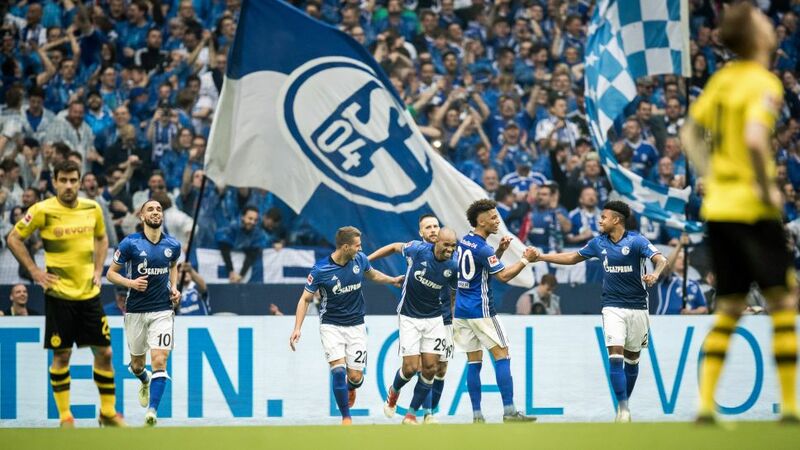 McKennie experienced his first taste of the world-famous fixture in November when Schalke fought back from 4-0 down to claim an historic draw, but this win, in front of the club's home fans, topped even that for exhilaration. "The feeling's amazing. It's my second derby, the first one we tied 4-4, that was also an amazing feeling. But to be here in, our home stadium, and all the families and the fans and everyone, just the atmosphere..." said the 19-year-old. "It's something that you can't get everywhere, and I feel like it’s only here at Schalke that you can get it, especially in the derby win." With their four-point cushion over third, Domenico Tedesco's men can now look forward to their first runners-up finish since 2009/10. McKennie and Co. are next in league action away at bottom club Cologne and end the campaign with matches against Borussia Mönchengladbach (home), Augsburg (away) and Eintracht Frankfurt (home). Before all of that, however, they host Frankfurt in the DFB Cup semi-final on Wednesday 18 April. Click here for more Schalke derby news and features!